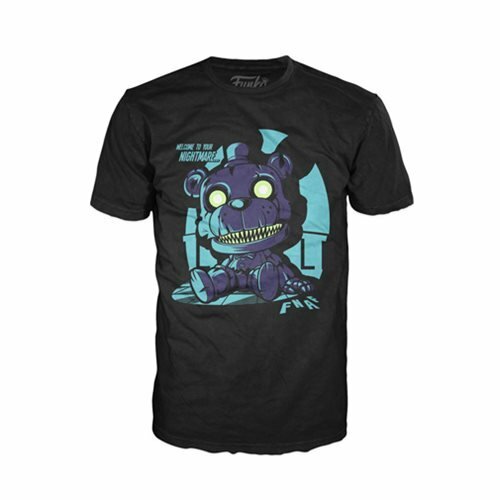 Wear your Five Nights at Freddy's pride front and center with this Pop! Tee from Funko! This Five Nights at Freddy's Nightmare Freddy Sitting Pop! T-Shirt Pop! T-Shirt shows a Pop! Vinyl style image of Nightmare Freddy bathed in an eerie light and reads, "Welcome to the Nightmare...", on the front of a soft black shirt. Ages 13 and up.